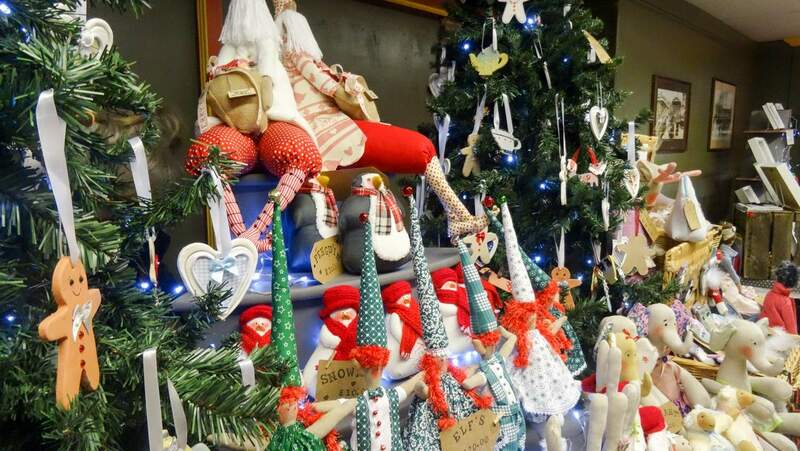 Back for its third year, Flambards once again hosts its wonderful Christmas Craft Fayre, a festive and family-friendly event, combining the magic of Christmas with the perfect opportunity to choose some great gifts and treats. The Fayre will be brimming with local gifts and goodies – a host of fantastic stalls with affordable high-quality products, food and drink. Stalls can be found in various venues within the park, including the Entertainment Venue, the Cafe area, the Victorian Village and Britain in the Blitz where you can wander around the stunning exhibitions. And for those wanting a bite to eat, Flambards’ spacious under cover cafe and various food outlets will be open throughout the weekend with a wide variety of refreshments. Live music from Helston Town Band will add to the festive atmosphere and we’re delighted to have them along again, they are a huge hit every year, getting everyone into the Christmas spirit. And of course Santa will be there all weekend – catch him meandering through the park with his elves or see him sat down for meet and greets at specific times during each day – wherever you see him, he’ll be happy to stop for a chat or a photo opportunity – don’t forget your camera! For this very special weekend, Flambards have set the amazing price of only £1.00 entrance per person – this includes entrance to the Fayre, the Victorian Village and Britain in the Blitz, as well as ample free parking. Amazing value for what’s going to be a great Christmas shopping experience and a brilliant, festive weekend. (Please note that no dogs, other than assistance dogs, are permitted in the park).